1.What’s the difference between the Autel Maxisys Elite and ms906 besides the programming or tire functions? Does it have more special functions? 2.Does Maxisys elite have the programming and relearning functions? 3.Does this system come with troubleshoot feature? 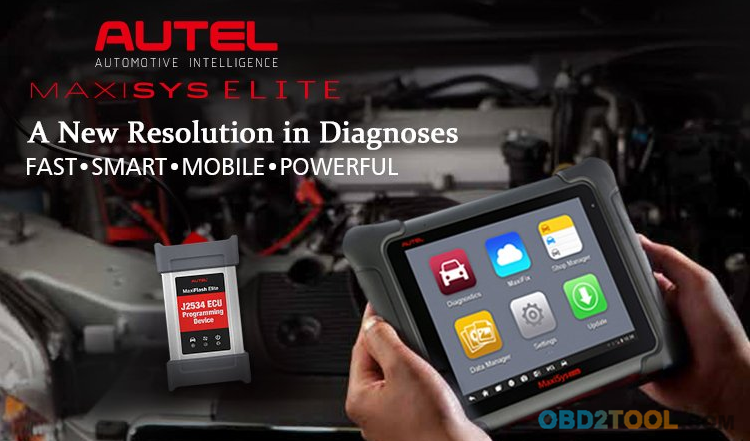 Of course, it can diagnose cars, Read and clear DTC, the most important is it can do ECU coding & Programming, it’s the most advanced diagnostic tool on Amazon, and the stock is very limited, and now we are conducting big promotion, if you need it please do not hesitate. Have more questions , just email us sales@obd2tool.com. Dear Sir , this Autel Scanner can do it on most cars, but if you want to make confirmation just tell us the car model, year and VIN, we will have a check and tell u the result. 5.Is online scn coding and other codings payable or are free for lifetime? Dear friend, it’s at least with 1 year free update.